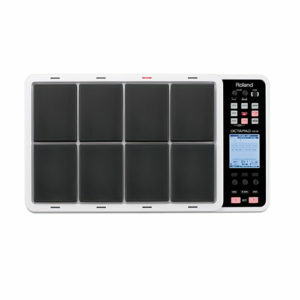 The Roland SPD::ONE PERCUSSION is a new type of digital percussion pad, one that allows any musician to add authentic percussion sounds to their performances. 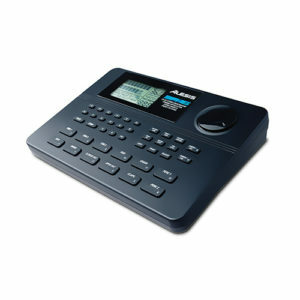 It contains 22 realistic percussion sounds, including snares, hi-hats, cymbals, shakers, tambourines, and more, and you can even import your own original audio data into one of the 12 internal sound banks. Once you’re ready to go, the SPD::ONE PERCUSSION’s robust-yet-sensitive pad can be played with sticks, hands, or feet, and the trigger threshold settings are easily adjusted with intuitive controls. 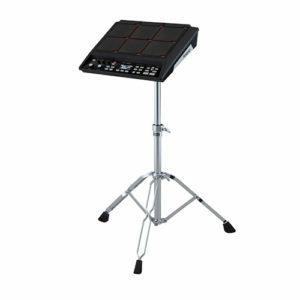 Powered by batteries or AC, the portable SPD::ONE PERCUSSION can be used on the floor or a tabletop, or mounted to any rig or drum setup with the included adapter. Operation is simple, even for those musicians who are not technical; just by using four knobs on the control panel, you can change the sound, volume, balance, and more. Whether you’re a drummer, percussion player, guitarist, DJ, or vocalist, the SPD::ONE PERCUSSION is a simple and flexible way to expand your sound palette and invigorate your performances. Every musician is individual, and your instruments need to complement your creativity and performance style. The SPD::ONE PERCUSSION lets you play the way you want to; this compact digital percussion pad can be played with drumsticks, hands, or even your feet. What’s more, you can adjust sensitivity and trigger threshold settings in seconds using two control dials on the side of the unit. 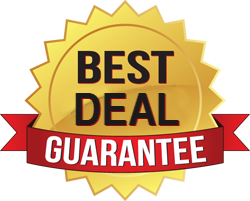 Drummers and percussionists will love the solid feel and natural rebound, guitarists can confidently stomp on the unit for four-on-the-floor beats, and practically any musician can play sounds by hand without fear of sore palms and fingers at the end of the night. The SPD::ONE PERCUSSION features a total of 22 onboard sounds. Each is a faithful reproduction of an acoustic sound, so you can use instruments that you wouldn’t normally bring, including snares, gongs, and even timpani. While a shaker may be small and transportable, it still requires a microphone to be amplified on the stage; the SPD::ONE PERCUSSION can provide your shaker sound in one song, and a completely different instrument in the next song of the set. Adding great sounding accompaniments has never been this flexible, simple, or portable. The SPD::ONE PERCUSSION is compact enough to fit into your existing instrument setup without needing to move your other gear. With the included mounting adapter, you can easily clamp the pad to a hi-hat, cymbal, or tom stand,* or even a mic stand. Alternately, the SPD::ONE PERCUSSION can be played without mounting it to anything at all—simply place it on the floor, a tabletop, or any solid surface. 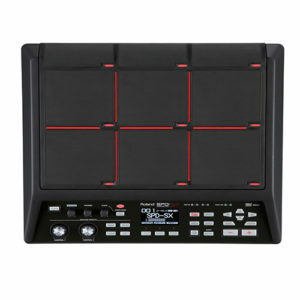 You can take the SPD::ONE PERCUSSION wherever you want, thanks to its compact size and battery operation. 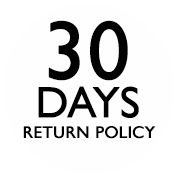 It’s lightweight enough to be dropped into a bag or instrument case, and robust enough to travel thanks to its metal-body construction. You can even play and produce your own sounds on the move via headphones, and include them in your set list that night. Operating the SPD::ONE PERCUSSION is very simple. There are no complex submenus or button sequences—just select your sounds by turning the bank selector to any of the 12 positions, and hit the pad to play. With just four main knobs on the front panel, everything you need is at hand, including the ability to customize sounds, adjust overall volume, and balance levels on the fly. The SPD::ONE PERCUSSION is loaded with great sounds, but sometimes you just need to use your own samples. Via USB, you can import WAV audio files up to five seconds long simply by dragging and dropping your files. 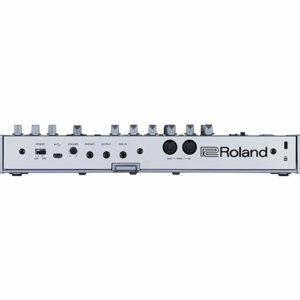 Your sounds can then be modified just like any of the internal sounds using the tuning and effect control knobs. If you need to use sounds longer than five seconds, check out the dedicated SPD::ONE WAV PAD, which can handle up to 4 GB of WAV audio. The new Version 2 system upgrade expands the SPD-30’s onboard kit and phrase libraries, and add powerful new features and functions. 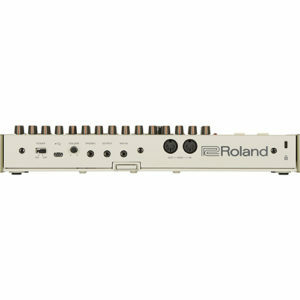 Roland’s original Octapad profoundly changed the landscape of electronic percussion. The size of a briefcase, the Octapad offered drummers and percussionists the equivalent of an entire electronic rig in one self-contained unit — a new level of convenience and expression. Today, decades later, an exciting new chapter in Octapad history begins. The SPD-30 blends the world’s most essential sounds with the latest triggering technology in a road-tough package that’s ready for the most demanding performers. 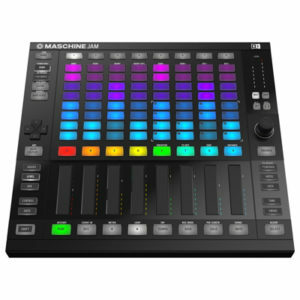 The Maschine Jam from Native Instruments is a modern production and performance system for intuitive sequencing and track building. Utilizing the 8×8 multi-color click-pad matrix, producers can sketch patterns with advanced multitrack step-sequencing, input notes and chords, or pattern-sequence on the fly. 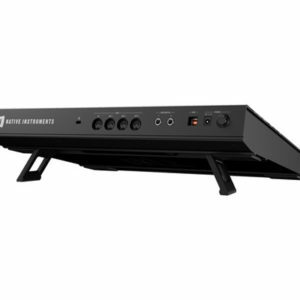 The eight dual-touch sensitive Smart Strips let you tweak up to eight parameters simultaneously and offer the ability to play melodies, chords, and input notes. These integrated performance FX allow for cutting-edge ways to shape sounds in new ways. As one of the most popular drum machines ever made, the SR-16™ has been used by everyone from songwriters to live performers to remix engineers as their drum machine of choice. The reason is simple: it features a great selection of 233 realistic, natural drum sounds, offered both in dry form and sampled with our incomparable digital reverbs. Our exclusive Dynamic Articulation™ feature enables a drum sound to change its tonal content as it’s played harder for truly realistic performances. 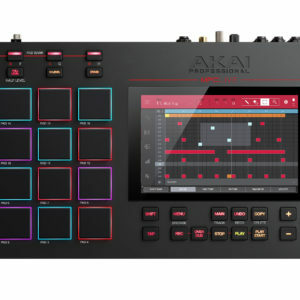 Akai’s MPC Live completely redefines the portable sampler workstation. 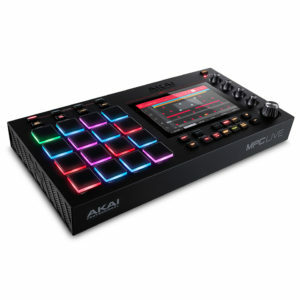 It includes most of the key elements that make the MPC X freakishly cool, trading a share of surface-level control, the extended I/O, and some screen size for a lightweight and compact body that can run on rechargeable battery power. 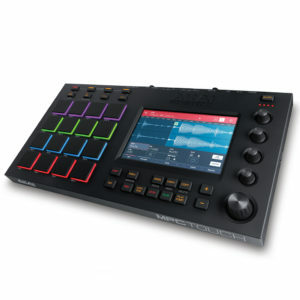 Like its big brother, the MPC Live actually runs the MPC 2.0 software platform for completely standalone operation, but you can also connect it to your computer. A set of 16 amazing pads, four Q-Link encoders plus a master encoder, dedicated buttons, and a 7″ multi-touch display deliver an impressive amount of control, so although this MPC is more complex than any old-school model, you’ll never find one that’s easier to learn than the MPC Live. 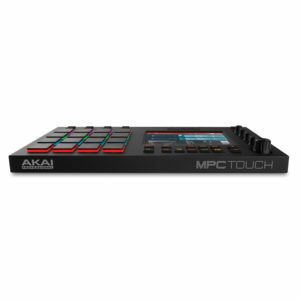 The last generation of MPC gear brought the MPC legacy to the computer music-production world in a way that honored Akai’s past, but the MPC Touch rockets this technology into the future. Equipped with classic MPC pads, essential hands-on controls, and an amazing 7″ multi-touchscreen, MPC Touch lets you get your hands on your music like never before. Lay down beats in classic MPC fashion, then dive in deep with touch controls that let you chop up beats, tweak waveforms, edit MIDI, and draw out envelopes in a whole new intuitive way. The Roland SPD::ONE KICK is a new type of digital percussion pad, one that allows any musician to add genuine kick drum and percussion sounds to their performances. It contains 22 realistic percussion sounds, including kick drums, stomp box, shakers, cowbells, and more, and you can even import your own original audio data into one of the 12 internal sound banks. Once you’re ready to go, the SPD::ONE KICK’s robust-yet-sensitive pad can be played with sticks, hands, or feet, and trigger threshold settings are easily adjusted with intuitive controls. 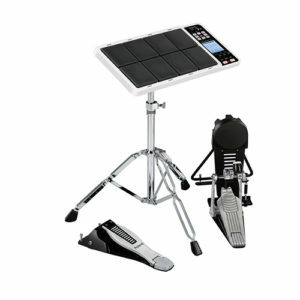 Powered by batteries or AC, the portable SPD::ONE KICK can be used on the floor or a tabletop, or mounted to any rig or drum setup with the included adapter. Operation is simple, even for those musicians who are not technical; just by using four knobs on the control panel, you can change the sound, volume, balance, and more. Whether you’re a drummer, percussion player, guitarist, DJ, or vocalist, the SPD::ONE KICK is a simple and flexible way to expand your sound palette and invigorate your performances. The Roland SPD::ONE ELECTRO is a new type of digital percussion pad, one that allows any musician to add electronic sounds to their performances. It contains 22 iconic sounds, including fat snares, crisp hand claps, electronic cowbells, and more, and you can even import your own original audio data into one of the 12 internal sound banks. Once you’re ready to go, the SPD::ONE ELECTRO’s robust-yet-sensitive pad can be played with sticks, hands, or feet, and the trigger threshold settings are easily adjusted with intuitive controls. 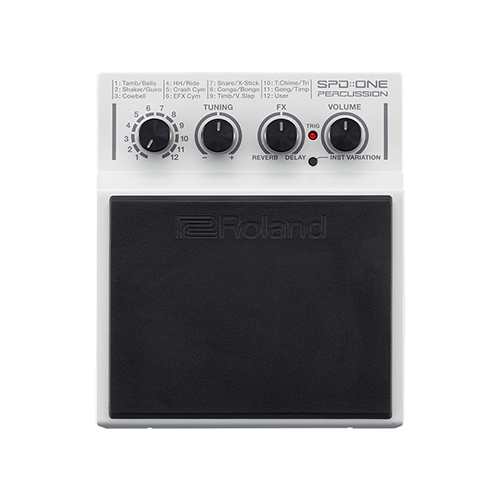 Powered by batteries or AC, the portable SPD::ONE ELECTRO can be used on the floor or a tabletop, or mounted to any rig or drum setup with the included adapter. Operation is simple, even for those musicians who are not technical; just by using four knobs on the control panel, you can change the sound, volume, balance, and more. Whether you’re a drummer, percussion player, guitarist, DJ, or vocalist, the SPD::ONE ELECTRO is a simple and flexible way to expand your sound palette and invigorate your performances. 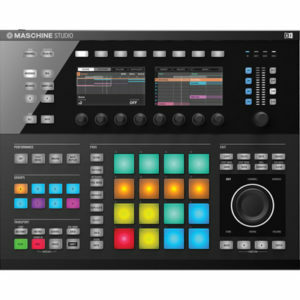 The black Maschine Studio from Native Instruments is a groove production system for Mac and Windows that combines hardware and software to provide a hands-on music making experience. 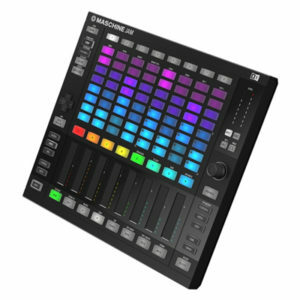 Part sequencer, part sampler and part multi-effect unit, the Maschine Studio is equipped with 16 multi-color backlit trigger pads and dual high-resolution color displays, allowing for full control of all functions without ever having to touch your keyboard or mouse. 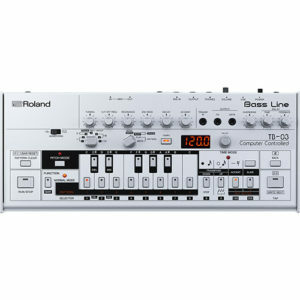 The influence of the TR-909 drum machine is still heard—and felt—more than three decades after it was launched. 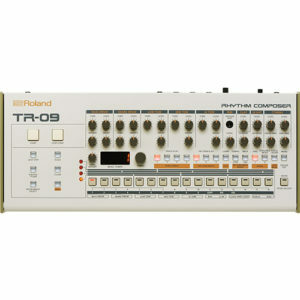 Now, the 909 sound is available as part of the Roland Boutique series in the form of the TR-09. 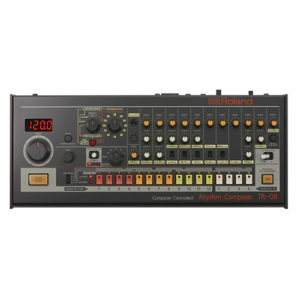 Featuring the same front-panel layout and user interface of the original, the TR-09 is powered by Roland’s ACB technology, delivering the speaker-pummelling power of the TR-909 in a super-affordable and portable format. Offering precise control over an array of drum parameters and the ability to keep playing when switching modes, the TR-09 may be compact, but it still has the power to move people. Studio sessions are well catered for too, with four separate outputs via USB audio, external instrument control via a trigger output, and USB MIDI.